heres the deal, the turbo intake has a horrible bend right at the bottom but it was design to clear a turbo.... if you have a 4 port keg.. a custom manifold would gain you the most. i would make it a common plenum single tb. like a typical 4 cyl intake manifold. the stock 6 port manifold on 4 a port keg is a question that needs be answer if you dont mind.. you could even use the LIM of the stock, and then make a way to use the turbo upper.. some big 8 inch spacer.. maybe to an FD upper. I should try this.. 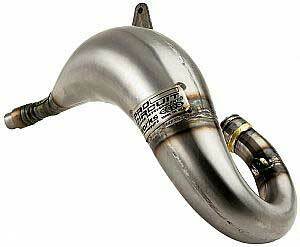 The turbo intake isn't the end of the world, I ran one for years, but the N/A intake is better for flow. The turbo upper is just as bad as the lower, a lot of compromises were made in order to clear the turbo and fit an intercooler above it while still fitting under a low slung hood. I would NOT run a common plenum manifold. I have never experienced one that didn't kill part throttle or low RPM power, and I tried it many times. Really the most ideal situation at least for N/A is an ITB type manifold, I think the rotary's intake pulses are too FREQUENT and strong for a plenum to work well, an intake charge will just as easily steal from the other rotor as it will pull through the throttle body, especially once you add bridge porting to the mix where you also have exhaust gas burping up the intake stream affecting things at part throttle. Last edited by peejay; 08-18-16 at 09:57 PM. but ... ultimate jay runs a common plenum on his 9 second N/a(yes he hit 9s) his is P port.. and there may lay the difference. ...but i thought that the overlap of a pport would make a plenum even worse choice for drivbility.. and this is common knowledge... but then i saw his plenum, and i had to take a setup back.. going back to the 767b.... no plenum there.. hmm. I aim to reproduce his design, since he was so nice to share it. i don't have any desire to bridge port, when i can make me own p port housings and go full rotard. Last edited by lastphaseofthis; 08-19-16 at 07:22 AM. Peejay, can you give some more insight as to your current setup? Where did you get the intake manifold? Is it individual runners with 4 TBs or 2 TBs splitting to 4 in the mani? I'm just now starting to research ITB setups in detail and would like to start collecting the parts to maybe swap over during boring winter downtime here in Iowa. How often are you at part throttle or 2000-3000rpm lower than redline, at the dragstrip? gotcha. :P ok so back to itbs then. I think ITBs are central to getting good drivability because the vacuum in the port dies away very fast, the volume between the throttle plate and port is very small. So there is less ability for vacuum to pull exhaust up. Thanks for the answer Aaron . Looking at a mockup assembly , i'm thinking that if the bridge opens at the point where the rotor starts to move away from the housing (which is quite late compared to many bridgeport designs I've seen) , the pressure adjacent to the bridge will be lower than elsewhere in the chamber so the tendency for exhaust gases to enter the intake tract is less than with designs that open earlier. Doing the primaries only allows you to put in a port that is almost as big as a secondary one but with better timing that should help make the engine much more civilised - IMO. And sure , it might not achieve the ultimate potential of a bridgeport. But if you got ,say, 75% of the gains and eliminated 90% of the negative ....would people be interested in that compromise ? Any bridgeport worth its salt (I'm excluding here stilly "drill ports" and even the "aux bridge" I use on my own engine) is just open. There's going to be no difference behaviour wise between a bridge on the primaries and one on the secondaries. Grab an RB bridgeport template and lay it on primaries, then secondaries. Stick a rotor on it. Both ports are always open. Just bridging the primaries is virtually indifferent from an overlap perspective than the secondaries. You just end up with small ports which close earlier on smaller runners. The advantage of a bridge port is the ability to flow air into the chamber before TDC. Once the main port opens, until you get into massive J-port range, the eyebrow's influence to flow is negligible. Maybe it helps reduce pressure before the short turn radius, which should help the airflow turn into the chamber, but it isn't significantly contributing to bulk flow. Alternatively you could do what I did for awesome half bridge drivability with OEM Mazda manifolds: make it idle on the secondaries if you have bridged secondaries. you will have a kind of "schizophrenic" engine with no vacuum on the secondaries . So ,reducing vacuum and allowing some intake air flow through the bridgeports , means you don't get the exhaust gases pulled up into the chamber between the throttle plate and the bridgeport ? Last edited by Brettus; 08-21-16 at 03:27 AM. yes. i did this with my P port (reduce intake vacuum), and it works wonders. its a little easier to picture with the P port, but the BP seems to function the same. at low RPM, when the gasses are all moving slowly, intake and exhaust are open at the same time. the intake has vacuum, the exhaust has pressure. furthermore the rotor is scooping the exhaust gasses toward the intake port. so there are a lot of exhaust gasses that get brought into the intake stroke. if you reduce intake vacuum then its not actively pulling exhaust gasses into the intake as much anymore. or you can do what Mazda did, and add air pump air to the exhaust ports. AH this! i want to mount a stock HT12 compressor onto a new 1/5 scale brushless motors that push around 10hp... and use it for low rpm on my P-port for drivibility. it would deactivate when the flow is surpassed. i worked on the stupid crazy SAAB the other day, the turbine is run off the front 3 exhaust, while the rear 3 are open and go to the muffler, and this TINY, and i mean like 32mm? turbo runs from just off idle to like 3k rpm, and then the v6 goes N/a for the rest of the way. how nuts. I might be missing something here , but surely if a reduction in vacuum on the bridgeport improves drive-ability , it follows that bridging the primaries only would give better drive-ability than bridging the secondaries only. there once was an engine that bridged the outter ports, but made them the primarys, and the 2nd butterflys in the thottle went to the center ports making them the secdary ports. at least i think thats what i recall, and it near the same concept you suggest, i dont remember the results however. Poor running from a bridge is more from exhaust gases flowing through the bridge and around the corner through the secondary port into the adjacent chamber than it is from gas flowing through the bridge and then back into the same chamber as it expands. When you partially open the secondary throttle , all the air passing through it is replacing exhaust air that would have made its way into the chamber. You were right the first time. When the apex seal sweeps over the port, it is over with in maybe 20-30 degrees of rotation, whereas there is about 100+ degrees of overlap in the same chamber. Last edited by peejay; 08-22-16 at 06:06 AM. i been saying two stroke kidneys, it needs them. gonna try them on my pport. peejay, my mind, she is thus blown. Just so I get this straight, you are idling the engine on the secondary ports w/the bridges by readjusting the staged throttle body to reverse the opening of the plates? Leaving the primary plates closed at idle and instead cracking the secondary plates? Do you have any data logs you would be willing to share of this operating at low throttles and idle? It stands to reason that with a reasonably unrestrictive exhaust, reducing the port vacuum would reduce the intake of exhaust gasses. Not eliminate of course. So what are we talking here? Is the idle extended street-port smooth? Fuel consumption at low loads? I'd assume this is done with a naturally aspirated engine. Turbine backpressure, even at idle, may prevent this arrangement from working. Certainly I've heard, though never seen in real life, that PP turbo cars wouldn't idle unless the wastegate was held open (ie. by compressed air). Seems to corroborate the thought of it being very backpressure sensitive. Those are designed to keep intake air from going out of the exhaust, and only work in a narrow power band. Outside that power band, it's going to have a negative effect on what we are trying to achieve in this conversation. Bear in mind, I haven't run such a setup since 2012. There was still primary/secondary action, that is a function of the linkage itself. (I was using a S4 N/A throttle body, on both T2 and N/A manifolds. I never had a T2 throttle body) But there is enough slack in the linkage that the secondary can be opened up without opening up the primary. I forget if the primary was closed further from stock or left alone. My tuning strategy involved driving on the highway and feeling the transition from bucking and brapping to smooth running. More secondary opening made that transition happen at a lower pedal position. The downside would be an inability to get the idle speed any lower than a certain place. I never datalogged drivability, I would always tune that on the fly or while a friend was driving. I only ever datalogged at the dragstrip. Also key is I kept the air bleed setup intact! Most of the air going through the primary side at idle was going through the air bleeds. Thinking back, I was also trying to get a good transition in and out of the ported vacuum passage on the primary throttle, since I was using a distributor. I remember that once in the "zone" a quarter turn of the adjuster made a huge change on the highway, made the brap transition happen at 50mph instead of 60mph. Mind you, I have better drivability with the ITBs and full bridge than I had with a half bridge and the ping-pong manifolds. I suspect that running batchfire injection instead of sequential has something to do with it. Still can't CRUISE at super low RPM like 1000-1500rpm but you can drive around that. You can tell when the engine is brapping and bucking, the rod-ends in the rear suspension make a lot of racket. They come in to the interior of the car right under my right elbow. Last edited by peejay; 08-23-16 at 06:55 PM. i did this with my P port, and the results were way better than i would have ever thought possible. i found the P port would idle without the brap brap, although its no fun so i put it back. drivability is about like a stock FC with a not quite there TPS. not sure about fuel economy, mine isn't a street car. Sounds like the ultimate dilema ...to brap.............. or not to brap ! Depends on how much you enjoy thrashing your U-joints and the bearings in your transmission and to a lesser extent the rearend. I'd imagine that CV joints would hate life too but they are much further removed from it than the trans bearings are.